PGA Professional Robert Stocke teaches you a few drills and techniques you can utilize in order to improve your short game and work towards lowering your score. 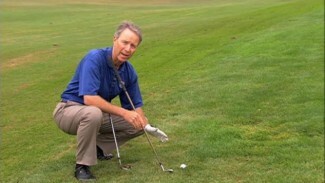 He demonstrates a putting drill that focuses on distance control and direction, and the goal is to lag your putts to within three feet of the hole. You should try to make twenty putts in a row, and then move back ten feet at a time. 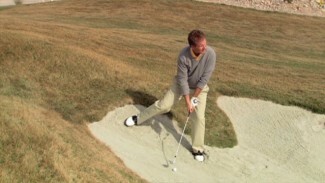 Try this drill out in your next practice session. I noticed that during your discussion and explanation of what you were teaching, you were leaning on your putter with the toe pointed down into the green. My father, long ago, taught me not to do that because you were leaving an indention in the green, even if it is the practice green, that will affect the putting practice of someone else. I know a lot of people do that but it would be better if the putter was placed flat on the ground instead of pointing the toe or heel into the ground. I’ve always tried to be mindful of that so as not to have an adverse effect on the green. It kind of equates to those people who remove the flag and then just let it fall onto the green. I hate to see people do that and will usually say something if I see it. Just wanted to point that out. Otherwise, good lesson and something I will start trying.